The Newfoundland and Labrador government might learn from the experiences of the Nordic model for economic and social system. We share many of the challenges that the Nordic countries face, yet they are prospering and we are heading into substantial deficits, reduction in services and cuts to government employees. Socio-economists now refer to successful modernizations as “getting to Denmark”. I have been around long enough to witness the apex and sudden burnout of Celtic Tiger and the Icelandic Miracle. Successive provincial governments invested millions of taxpayers dollars attempting to replicate these success that were build on foundations of clay. Like us, these Nordic nations faced economic and social changes brought on by globalization, high debt to GDP, severe demographic changes and high taxes. "Swedenisation” was a dirty word in the 80’s and 90’s. However, a course change has resulted in pragmatic system that policy makers in this province should consider before throwing thousands of people under the bus in the name of right sizing without a plan for the future. Can Newfoundland and Labrador “get to Denmark”? 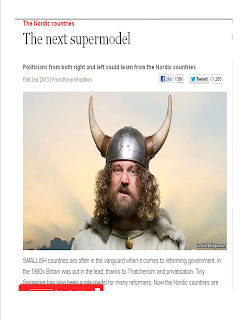 Does the Nordic model offer a road map to assist us in maintaining/adapting an economic and social climate which will ensure growth and preserve the welfare state? 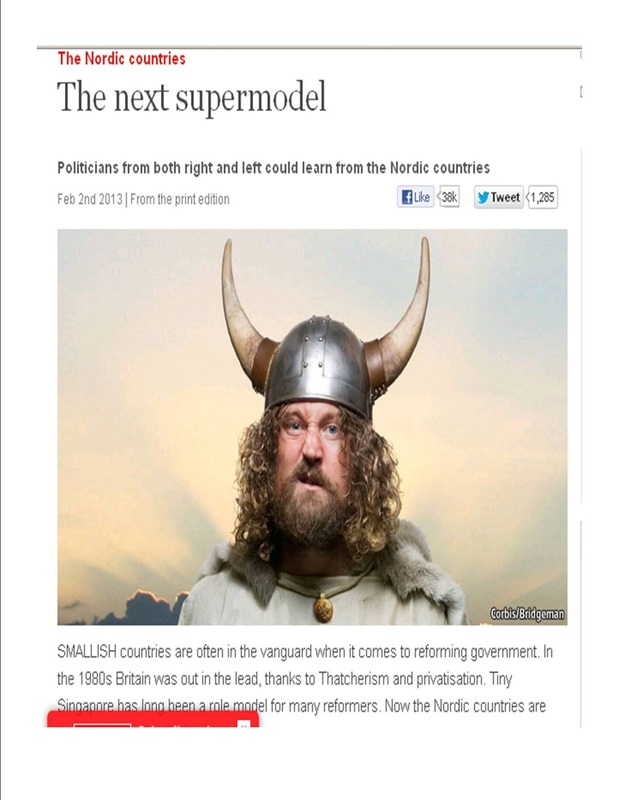 Back in early February, the Economist published a number of articles related to the Nordic Model. The articles examined the strengths and weaknesses; the incentives and the balances between entitlements and obligation; and the partnerships between government, labour and the private sector. I urge you to read these articles and let's enter into a discussion about the Nordic Model and the direction our province should/could be headed.